This is 1998SB2621 BCC who was 4th @ 126 miles as a young bird. 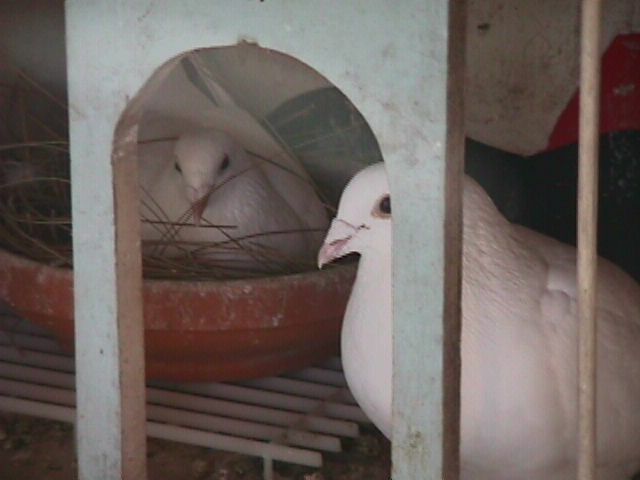 This is 1996SB2220 WC & 1998SB2618 WH in their nestbox. #2220 was 2nd club & combine @ 126 miles. #2618 placed 5th @ 126 miles; 14th @ 179 miles; and 11th @ a second 179 mile race as a young bird. 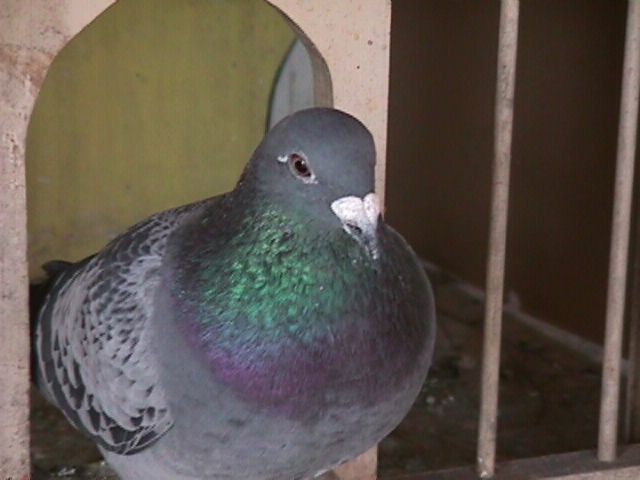 #2618 was 6th champion young bird in the Santa Barbara Pigeon Club.